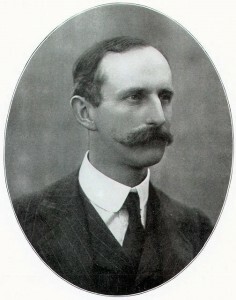 Henry, as the only surviving son of George Cubitt, 1st Baron Ashcombe, inherited the title and estates when his father died in 1917. 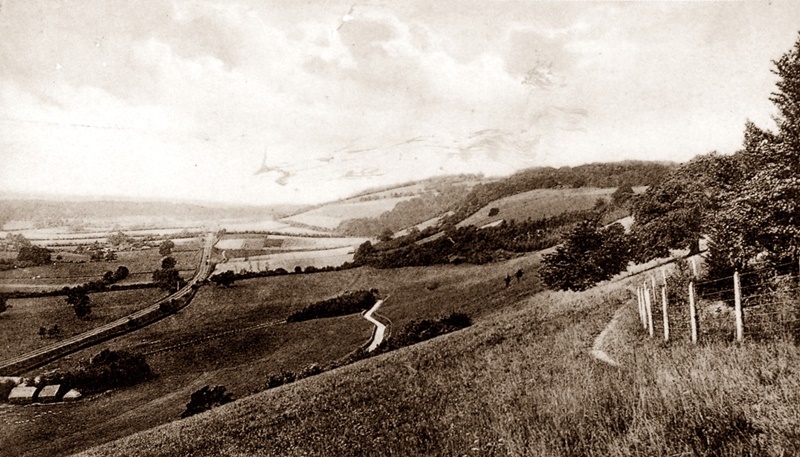 He was groomed for this responsibility and ran Denbies after his father handed affairs over to him in 1904. Henry was essentially a country gentleman. He loved the countryside, and he and his wife involved themselves in country matters and the traditions of the Estate. He laid out a cricket ground on the field between Denbies House and St Barnabas Church, and supported the Estate cricket team in matches against local villages. Wearing a surplice, he sat in the Church choir among his male employees. Gradually, Henry and his wife Maud took over his aging parents’ diligent visits to St Barnabas School. In 1907 he visited with an architect to organise some, by now very necessary, rebuilding for new classrooms. When the cold winter of 1910 adversely affected schoolwork (“never above 47 degrees” as the logbook despairingly remarked), the architect was sent back “to see what could be done with regard to additional warming apparatus.” And when there was an epidemic at the school (measles, chicken-pox, whooping cough), Henry usually seemed to visit, and then the doctor would close the school down for a period. Despite this attention to the children’s wellbeing and education, as a landowner of his time Henry obviously thought nothing of taking seven boys out of school for a day in 1904 “to act as beaters for Mr Cubitt’s shooting party”, upsetting the teacher’s attendance record! 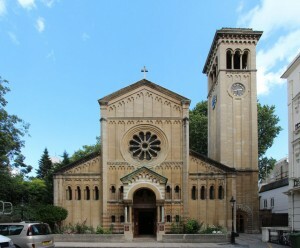 Henry Cubitt was born in London on 14th March 1867 and, unlike most of his siblings, baptised at All Saints Ennismore Gardens, the Knightsbridge church near his grandparents’ house in Princes Gate. He went to Eton and Trinity College, Cambridge, where he took his degree of BA in 1899, followed by the usual honorary MA. His twenty-first birthday party in 1888 was a splendid affair and the children at the School were given a half holiday to mark the occasion. 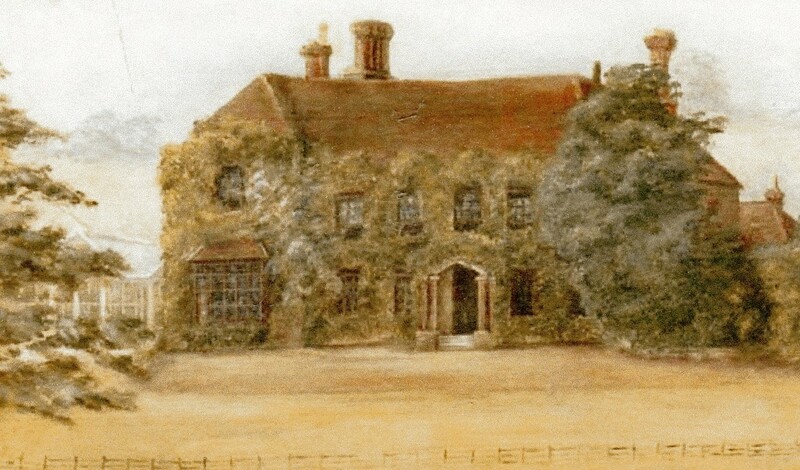 On 21st August 1890 Henry Cubitt married Maud Mariamne Calvert at St Margaret’s Ockley. She was the daughter of Colonel Archibald and Constance Calvert of Ockley Court, Surrey. For the first years after their marriage Henry and Maud lived in 20 Princes Gate, Knightbridge and at Birtley Court, Bramley (part of the Cubitt Estates and now a residential home). 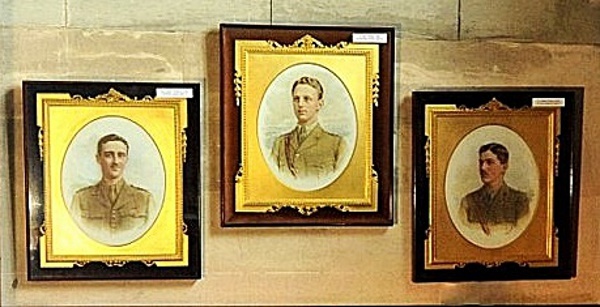 They had six sons: Henry Archibald, Alick George, William Hugh, Roland Calvert, Archibald Edward and Charles Guy. Henry was a Justice of the Peace (JP), and Conservative Member of Parliament for Reigate from 1892 to 1906. He was so popular with his constituents that he was not opposed in the elections of 1895 and 1900, but, when he eventually stood down, his optimistic successor was defeated by the Liberals. He was Lord Lieutenant of Surrey from 1905 to 1939 and appointed Commander of the Bath (CB). He was very interested in military matters. Indeed, his nephew Stephen Tallents wrote that his uncle would have liked to have been a soldier: in 1887, the year after he left Eton, Henry became Second Lieutenant in the 2nd Volunteer Battalion of The Queen’s (Royal West Surrey Regiment), Dorking company. 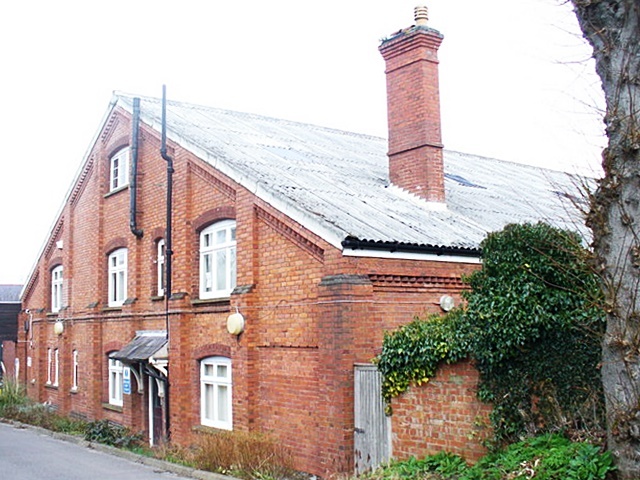 In 1889 his father George Cubitt built a Drill Hall at Dorking, with an armoury and hallkeeper’s cottage. In 1890 Henry was promoted Captain of the Farnham Company, but he returned to Dorking in 1900. The welfare of the forces was his particular interest. 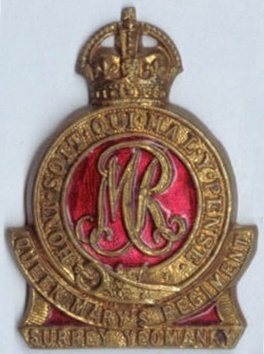 In 1901 Henry Cubitt was promoted Major and took immense pride in raising and commanding a new regiment of the Surrey Imperial Yeomanry. A rifle range was set up on Ranmore Common at Pickett’s Hole. 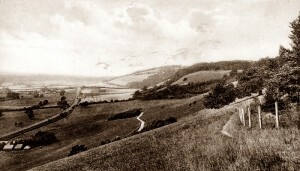 In July 1901 the first training camp took place at Denbies, with a muster of 200 men. In 1902 the regiment was renamed Surrey (Princess of Wales’ Lancers) Imperial Yeomanry, and later the Surrey (Queen Mary’s Regiment) Yeomanry. The Cubitts served as volunteer officers, and drills and exercises took place regularly on Ranmore Common. Henry was Commanding Officer and remained Honorary Colonel until 1912. When World War 1 began, the Hon Henry Cubitt was well placed as Lord Lieutenant, with his thousands of acres, wealth and sense of public duty, to form a committee to raise Surrey men for military service, to provide hospitals for the wounded, and to alleviate the distress of unemployment. To promote fund-raising, he announced that he would subscribe £1000 a quarter for one year and that his wife would give £1000 to the Red Cross Society. He also ordered recreational shoots on his estate to end and told his tenants to “knock any birds on the head that were ready for the table”. 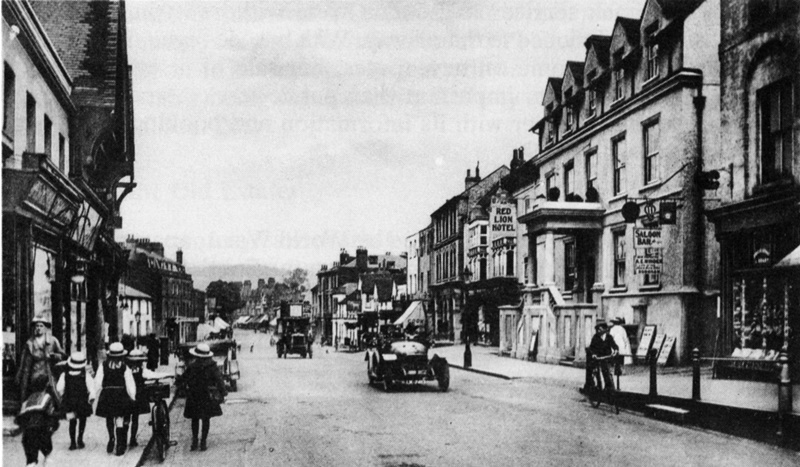 In August 1914 on Market Day he stood on the steps of the “Red Lion” Hotel in the High Street (where traditionally election results were announced) and addressed the farmers gathered at Dorking Market. 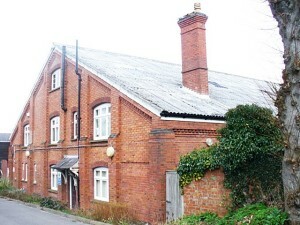 He said that he had recruited widely in Dorking and the villages, but wanted to reach the outlying agricultural areas. Henry asked employers to impress upon young men the need to join up. He told his employees that there would not be so much work in future; married men would be first in line, so single men ought to join up. Later, disappointed at recruit numbers, he announced that he and the “principal people” of Dorking were signing a pledge that at the end of the war they would give preference in employment to those who had served. Henry’s enthusiastic recruiting backfired on him most poignantly when his three eldest sons were killed in the war. After their deaths, he is reported to have continued organising shoots on the Estate, but he never again carried a gun. His poignant response to the local town council’s expressions of sympathy for his loss was, “They could only hope that these great sacrifices would be rewarded by lasting benefits to our country and to civilisation.” Commenting on Reginald Frampton’s mural in the commemorative Cubitt Chapel that Henry built in memory of his sons, The Studio magazine added, “The war has laid a very heavy toll on the noble families of England, but few of them have suffered so severely as the owner of ‘Denbies’ on the hill overlooking Dorking, in Surrey”. The Ranmore War Memorial for WW1 lists the names of eleven dead from the Denbies Estate, as well as Henry’s three sons; no doubt several times as many men fought but survived, some not in a fit state to carry on life as before. All of these losses made maintenance of great estates like Denbies difficult during the war years, and far from easy afterwards. Added to which, Henry’s father’s death in 1917 imposed heavy death duties, and outlying portions of the Estate had to be sold in 1921 to pay for them. Despite all this, in the 1930s Denbies House still had an indoor staff of around twenty-five, and the family lived in considerable luxury. They usually went abroad from Christmas until Easter, Lord Ashcombe having a villa in the South of France, at Valescure near St Raphael where he was licensed at an Anglican lay reader. In his later years each September he spent three or four weeks at the home of his sister Nell (Helen Cubitt) near Torquay. Henry’s wife died two years before him. When he died on 27th October 1947, his coffin was borne by his estate workers wearing traditional smocks specially made for the occasion. The smock worn by Henry George Hedger is now in Dorking Museum. 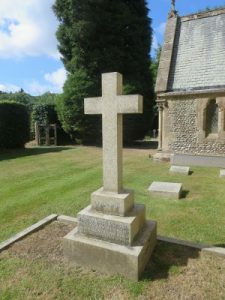 Lord and Lady Ashcombe lie buried together at St Barnabas under a large memorial cross similar to that over Henry’s parents’ grave a few yards away. 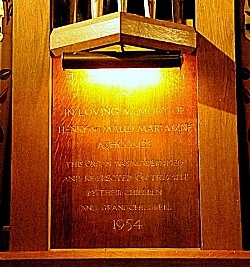 In 1954 the church organ was moved to the north transept; the family paid for the work in memory of Henry and Maud. This is a composite list of the sources consulted for Henry Cubitt and all members of his family , but details for the individual family members are available if required. Most of the sources mentioned can be viewed online via Ancestry, Find My Past and Free BMD.